My mother and I were having a conversation not long ago about the fact that I was leaving no stone unturned in my search for intervention for Girly Girl and her osteosarcoma. This extends to pretty much every area, financial, medical, emotional, and yes, even divine. So mom mentioned that there is a patron saint for dogs and his name is Saint Roch. I was raised a nominal Catholic. I never went through catechism nor was I confirmed or any of that stuff. In fact, we weren’t what you might call “church goin’ folk.” But I have my share of religious knowledge stuffed in the dusty folds of my noggin. I did not, however, know anything of Saint Roch. For sure, I knew of his more famous compatriot, St. Francis of Assisi. Patron saint of animals, the environment, merchants and Catholic action (though I didn’t know about the last three patronizations). St. Francis was friend and protector of all animals and is best known in that role though his actual story is very little related to animals at all. In fact, he had very little to do with merchants or the environment. But he is always pictured standing in the woods surrounded by all manner of beasts. And the blessing of the animals is generally conducted sometime around his feast day. So I did a little Googling on Saint Roch. 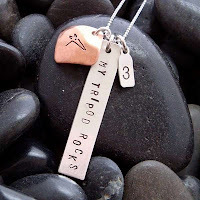 He is also known about town as Saint Roque, Saint Rocco and Saint Rock. He is the patron saint of dogs, bachelors, surgeons, tile makers and the sick and invalid (um, and a few other things). Saint Roch was traveling around doing saintly things when he contracted a nasty case of leprosy. I suppose there aren’t any cases of leprosy that aren’t nasty, but there you go. In the medieval times when he lived, leprosy was not welcomed so he hid out in the forest. He was saved from starvation by a faithful dog that brought him food every day. Eventually he moved on to the city he came from and they stoned him and threw him in prison. He was attributed as having said something along the lines of, “We should all treat dogs kindly for they are worthy of it.” A bit ahead of his time, yes? Still, you have to wonder about the whole Catholic saint system. Was Saint Roch the best they could do for the patron saint of dogs? A leprous guy who was fed by a dog in the woods and said, “Hey, dogs aren’t so bad?” In that scenario, shouldn’t the dog be the saint? Is realizing that dogs are pretty cool about 700 years before your time really enough to make you the patron saint of dogs? What did he do for the dog? Pope: Geez, it’s really hard to become a saint. Those are some pretty stiff rules we got there, aye? Bishop: You bet ya. And we got this long list of occupations and animals and objects needing patron saints. What’s a poor cleric to do? Mouse in Corner: Squeak, Multi-Task, Squeak. Pope: Hey, I believe I have just received divine inspiration. We should multi-task. Pope: Never mind that. Let’s assign each saint a bunch of different occupations, animals and objects to be the patron of. Nes pas? Bishop: Brilliant! I’ll put in your application for sainthood right away! And so Saint Roch who once touched a dog and was sick himself became the patron saint of dogs and sick people. Of course, in the end, they had far more occupations, animals and objects than they could possibly actually relate in some fashion to the saint, so each saint ended up with a bunch of things to patronize with which he or she had absolutely no connection what-so-ever. Still, I figure it can’t hurt to appeal to good ole Saint Roch for some divine intercession on behalf of Girly Girl. I suppose she has as much claim on him as tile makers, surgeons, invalids and bachelors (um, and a few other things). But really I think I’m also going to send an appeal up to that dog who was feeding Saint Roch in the woods. I did say I was going to leave no stone unturned. And really. I think we all know who should have been given the saintly concession. So it seems a lot of people struggle with the decision to amputate. 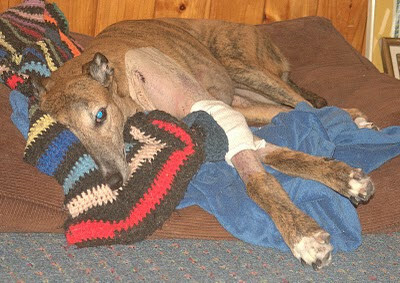 Being the frail, vain, two-legged creatures that we are, it seems we are unable to wrap our minds around the possibility that our greyhound companions will be far better off rid of a leg that is causing them great pain and is harboring the means for their destruction. We’re also, apparently, pretty concerned about how all the other dogs will look at them down at the dog park. If you research amputation on the internet, you can find all sorts of articles that address whether or not to amputate, the vanity concerns, and the mobility concerns. They assure you the dog will get around just fine and all the other dogs don’t care what your dog looks like whether with four legs or three. Your surgeon is also very well equipped to address any concerns you may have about amputating. And he or she can explain to you the healing process. 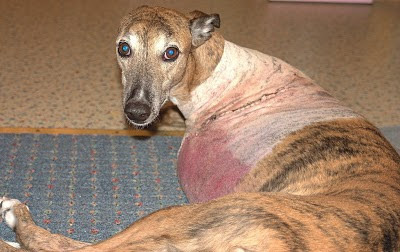 But unless you get a surgeon who has actually had a pet whose leg was amputated, they don’t know what really happens once you take your hound out the doors of the hospital. 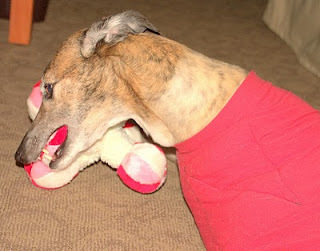 I searched the internet and could find only one blog posting from a woman whose greyhound underwent amputation that actually addressed what to expect after the amputation. She went through what it was like and what to expect. Though she doesn’t go into as much detail as I might like, I have been clinging to this article as if it were a lifeline. You see, there are so many things they don’t tell you about amputation before you decide to do it, or after it’s done and you’re driving your beloved companion home. Getting a sling to assist with mobility at first and being careful of infection is really just the beginning. First there are the medications. They can have strange side effects that aren’t obviously side effects. My previously normal hound became strangely zoned out. She suddenly began panting all the time. A formerly dry mouthed hound is now a copious drooler. My “eat anything” hound won’t eat things that she would have turned herself inside out for before. She refused to eat breakfast at breakfast time, but is happy to eat it at lunchtime. She previously had no problem eating her supplements with her meal but now absolutely refuses to touch them. I must resort to wrapping them in cheese to get them in her. Some nights dinner is ok, some nights dinner isn’t interesting. Sometimes it’s good served at 6p and sometimes it won’t be touched a minute before 7:30p. She will look for the missing leg. At times when she would typically use it or when she is walking she may stop and suddenly look down to where the leg would normally be. Sometimes she looks a number of times as if she doesn’t believe what her eyes are telling her. No, it must be there. It always used to be there. Some days she will sit and just stare at me. For hours. I have to wonder what is going through her head at those times. Is she thinking loving thoughts or cursing the very second I saw her at the rescue kennel? She will frequently move wrong or sleep on the incision side, or sometimes for no apparent reason at all will let out a horrible shriek of pain. And just as frequently she will just whimper to herself in pain. Both of these are heartbreaking and make you question your decision over and over again. Then there is the depression. It is the only way I can describe it. After a particularly pain filled day for her, she went into a funk that had all the appearances of depression and there she has stayed for a number of days. She has stopped trying to be mobile except when absolutely necessary. She sleeps most of the time. She doesn’t engage with me or her brother Blue. She eats when coaxed. Only recently has she started to come out of it. My girl, who used to live for her squeaky toys hasn’t even acknowledged one since coming home. Won’t touch one, won’t look at one. She also lived for belly rubs and has asked for these only twice since coming home. Essentially the hound that came home from the hospital is completely different from the steel core magnolia that I dropped off last Wednesday. They don’t tell you to expect an alien coming home in place of your heart dog when you make the decision to do this surgery. They’re just worried that you’ll be shocked by the sight of the incision and the fact that she now has three legs. And other than the one blog article, there is no guidance on the internet either. No roadmap for the stuff they don’t tell you. I do, of course, know that my sweet girl will return to me at some point when we get through the healing process (at least I hope so!). But I frankly have no idea when, or how. I don’t know how long this should take. I know I’m not the first person to go through this but no one else seems to have written about it before. Thus we continue to muddle through the healing period. Bowdoin’s newest tri-pawd is sleeping and releasing noxious gasses (did I mention that’s another great side effect-completely screwed up bowel flora). In another week we’ll get the staples out of Franken-dog. In the meantime I’ll be looking up the prices for doggy Prozac. How do you say “Bon Voyage” to a leg? After much back and forth, countless tears and gray hairs on my part and I’m certain some number of years off my life; Girly Girl’s fate has finally been determined. The good doctors and pathologists put their knowledgeable and specialized heads together to determine that Girly Girl does, in fact, have osteosarcoma. Through two months of scans, x-rays, blood tests, consults, biopsies, aspirations, ultrasounds, more consults and pathology smears we went from osteosarcoma to bone cyst to osteosarcoma, back to bone cyst, to cancer of some unspecified type, back to bone cyst, then to hemangiosarcoma or osteosarcoma and finally settling on osteosarcoma. This was, as you might imagine, a bit of a rollercoaster ride in just about every sense of the word. Ironically, as a result of this crazy ride, I was never so happy to hear that Girly Girl actually had osteosarcoma as when Dr. Pastor called us last night with the final diagnosis. Since hemangiosarcoma is so much more aggressive and has so few treatment options, we were far better off if she had osteosarcoma. I never could have imagined sending out an email to friends and family with the subject line “It’s Osteosarcoma!!! !” Just like I was announcing the birth of a child. When I first stood in Dr. Edelbaum’s office during the first week of December looking at the tumor on Girly Girl’s x-ray and first heard the diagnosis of osteosarcoma, I thought the world had ended. Back then I cried for days and days. From there to actually being grateful for osteosarcoma? Who knew? 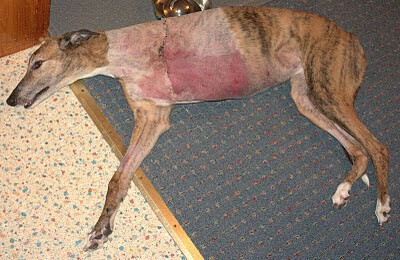 For those who may not know, the standard course of treatment for osteosarcoma in greyhounds if it has not already metastasized is to amputate the leg. After that you go through a course of chemotherapy. So without further delay I scheduled Girly Girl’s surgery with Dr. Pastor. We go tomorrow. Once you get a final diagnosis, there is no more messing around. Now that it is scheduled, suddenly, I had to take a real hard look at the fact I was preparing to hand over my heart dog, the furry love of my life, so that they can sever what appears, on the outside, to be a perfectly good leg. Up to the time it decided to give quarter to a deadly invader, it was a great leg. We liked it. It definitely served its purpose. Until it turned traitor, it had never been lame, never faltered. It has a lovely paw with pads that smell like corn chips. It is her dominant leg. When she performs her “Human Whisperer” trick that is the leg she uses. I don’t think she’ll be able to perform that trick anymore once the leg is gone. So on the eve before the surgery it became important to mumma to celebrate her leg. It had been a good friend for most of her 6 years and we were facing a difficult procedure and recovery to be parted from it. How to say goodbye to a leg? Well, we kicked off the evening with a happy hour. We had appetizing treats. Blue, Girly Girl and I enjoyed time together. I got out the video camera and for the last time Girly Girl performed her “Human Whisperer” trick for the camera. I had never thought to capture it on film before. Funny how that is. We have performed the trick on stage together during the Pet Idol contest at the Adoption Expo at the Raynham-Taunton Greyhound Track in Massachusetts before. But I had never put it on film. It seemed important to memorialize it as Girly Girl ran through it a last few times. 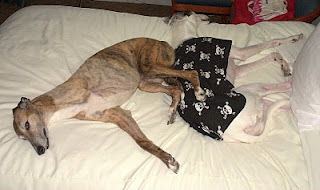 We followed our happy hour with a special dinner including Girly Girl and Blue’s favorite canned food. Girly Girl got an extra portion since it’s likely she won’t be eating again for a few days and even then she won’t have a big appetite. We spent the rest of the evening cuddling together on the couch where mumma said her goodbyes to the offending leg. I wondered what they would do with the poor leg once it was no longer part of Girly Girl. But then I decided I probably didn’t really want to know the answer to that. The leg still has the staples in it from the bone cyst procedure. They probably won’t even bother to remove those. This poor leg has been through quite a bit already and will soon meet an inglorious end. The fact that Girly Girl will be a three-legged dog makes no difference to me. She will be as beautiful to me with three legs as with four. She could have two legs, or one eye, or no ears and it would make no difference to me. The piece I struggle with is making such a life altering decision for her without any idea if this is what she would want. It is very hard to know what she is about to go through and wondering if she would think it is worth it. If she would sanction it should she have a voice in the matter? These are decisions I never envisioned having to make as a greyhound caretaker though we all know cancer is a real possibility when we sign on. I wonder if the decision I am making now, to put Girly Girl through this, will leave me in her eyes, without a leg to stand on. She has osteosarcoma. That is the scariest and loneliest thing I have ever been told. Girly Girl is now facing a terrible disease with an end game that is, at best, dismal. We have cancer. Except it didn’t take me very long to learn that we were anything but alone. And that it wasn’t just Girly Girl, Blue and I who were facing this. There were so many resources out there just waiting to lend us their knowledge, strength, shoulders, ears, experience, hugs, encouragement and support. In the darkest moments, when things seemed most hopeless, so many heroes have appeared and pointed the way. Family: Grammy and Charlie provided a safe haven for Blue when I had to take Girly Girl to appointments and procedures. They took care of Girly Girl with the tenderest care in order to allow mumma some time off with friends every now and again. They spoiled both Blue and Girly Girl. They understood how Blue and Girly Girl are my children. They let me cry and cried with me. Friends: They also understood that Blue and Girly Girl are my children and never once behaved any differently. They checked on me and Girly Girl constantly and let me know they were there for me, whatever I needed. They let me cry and cried with me. My Meet and Greet Family: They formed a tight circle around Girly Girl, Blue and I. They checked on us daily and sent us encouraging and supporting emails. They offered their service, their knowledge, their resources and even offered to pool funds to help us pay for Girly Girl’s treatment. They let me cry and they cried with me. My Facebook and Twitter Friends: They offered their support and encouragement. Many offered their experience which was invaluable in figuring out what to do and what not to do next. Work: My bosses (who I am also blessed to have had as friends before they became my bosses) also miraculously understand that Girly Girl and Blue are my children and have allowed me the time I’ve needed to bring Girly Girl to her appointments and procedures. They never hesitated once. From the minute I told them of the diagnosis, they told me to take the time I needed and to do what I needed to do and they are still telling me the same thing. The Animal House: Our favorite pet supply store. Aubrey and Dan Martin who own and operate this store believe in a holistic approach to pet care. We have considered them friends and mentors ever since we met them. 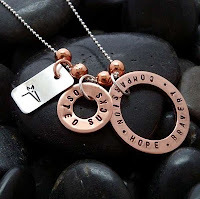 They have provided us with all their knowledge regarding nutrition and supplements for cancer patients as well as their experience and support. Help Your Dog Fight Cancer: A book recommended by Aubrey at The Animal House. This was written by Laurie Kaplan. It was the only book we could find on the subject and turned out to be a wonderful resource. It wasn’t osteosarcoma specific but well worth the read nonetheless. 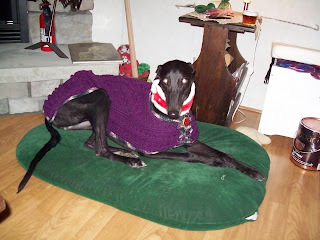 Grey Talk: A group of greyhound fanatics who have found a home on the web. 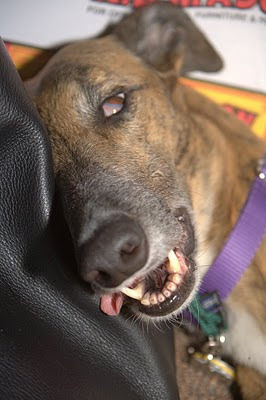 There are all sorts of forums in this community including Greyhound Health. The people in this community are, without a doubt, unsung heroes. Anyone posting a thread about their hound’s health issue can count on immediate feedback with support and shared experience. They are there 24 hours a day, 7 days a week. You are NEVER alone. Dr. Laura Edelbaum: Our family vet. We love her. She is allopathic but has an interest in Traditional Chinese Medicine and has a working knowledge of supplements as well. 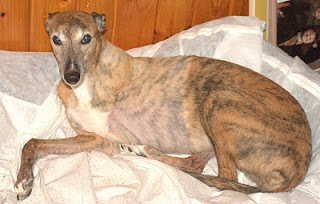 When we first went to her regarding Girly Girl’s limp, she felt it was orthopedic given the signs. But she was willing to consider my concerns and set up the x-rays that revealed the tumor earlier than we may have otherwise discovered it. 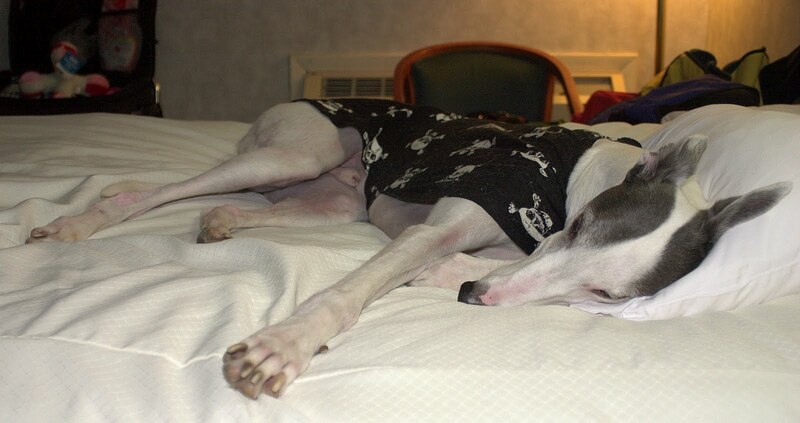 Dr. Guillermo Couto: We had heard Dr. Couto speak at the Raynham Adoption Expo so we knew to reach out to him, but even if we had not, so many people in the greater greyhound community directed us towards him, it would have been hard not to end up at his doorstep. This is another unsung hero. 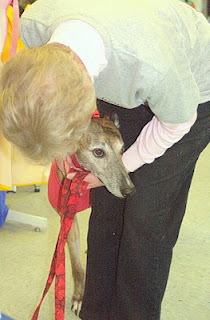 Here is a doctor who heads a very busy Greyhound Health and Wellness Program at Ohio State University. He spends time volunteering at a greyhound rescue clinic in Spain, he does research and he is willing to consult, for free, on the cancer cases of retired racing greyhounds. He responded to our numerous emails quickly, even when he was out on vacation. Not only that, he took the time to give us some words of encouragement and support along the way. Dr. Erin Romansik, NEVOG: When our local surgeons were unwilling to work with us regarding my wishes for Girly Girl’s care and were unwilling to even speak with Dr. Couto’s colleagues at OSU, we were at a loss as to where to go next. There weren’t a lot of options here in Maine. Dr. Couto suggested the New England Veterinary Oncology Group in Waltham MA. We saw Dr. Erin Romansik and he was wonderful. When the Fine Needle Aspirate he attempted was unsuccessful, he worked with us on the next step. Dr. Karen Pastor, Massachusetts Veterinary Referral Hospital: Dr. Romansik referred us to Dr. Pastor and we were again in very good hands. Dr. Pastor, a surgeon, consulted with us about doing a biopsy but in the end, after a day spent there, we ended up doing a different procedure. We now await the pathology results and the next steps. Not only did Dr. Pastor make it clear she cared about Girly Girl but when she learned that Girly Girl is my heart dog, she took time to show me a photo of her “soul mate dog.” A beautiful, giant, harlequin Great Dane. The 5x7 photo sits framed on the counter in the examining room among the many photos from her patients. So though sometimes it feels pretty lonely, with a team of heroes like this behind us, we’ll continue to fight. You see “we” have cancer.